Culture Club is having its second outing, this Saturday 15th October. Meet at Angel tube at 1pm. From Angel, we’ll go to the Victoria Miro gallery to look at their Protest exhibition. 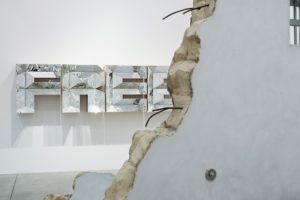 Historical and contemporary works feature in a group exhibition by artists concerned with the socio-political issues of their day, who question the status quo and the power structures found within societies, and who take the very language of protest as a means to explore its potency. Taking as a starting point Alice Neel’s 1936 painting Nazis Murder Jews, the exhibition presents new and recent works by artists including Doug Aitken, Elmgreen & Dragset, Isaac Julien, Wangechi Mutu, Richard Prince and Sarah Sze amongst others. From there we travel to the Whitechapel Gallery to view Guerrilla Girls: ‘Is it even worse in Europe?’ as featured in Women’s Hour and Time Out. Guerrilla Girls: Is it even worse in Europe? explores diversity in European art organisations. It presents responses to questionnaires sent to 383 directors about their exhibitions programme and collections. The questions were formulated to critically look at the narratives that are produced by cultural institutions. If there’s time, we may explore Whitechapel Gallery’s other offerings, and/or go for a drink and a nibble afterwards. Sign up to the Culture Club mailing list here! Email hello@n1wi.co.uk or talk to Bobbie to let us know you’re planning on coming.